R-Tuned has over 20 years of experience in manufacturing and designing the finest carbon fibre and fibre glass products for automotive purposes, specializing in high end luxury and supercars from around the world. Originally founded in the U.K, R-Tuned have now established themselves in Hong Kong where the factory and head office are based. With and abundant technical force, they own the most advanced production line and equipment at their main factory. R-Tuned carbon fibre fabric is reinforced weaved and has been widely accepted and highly spoken by their customers. 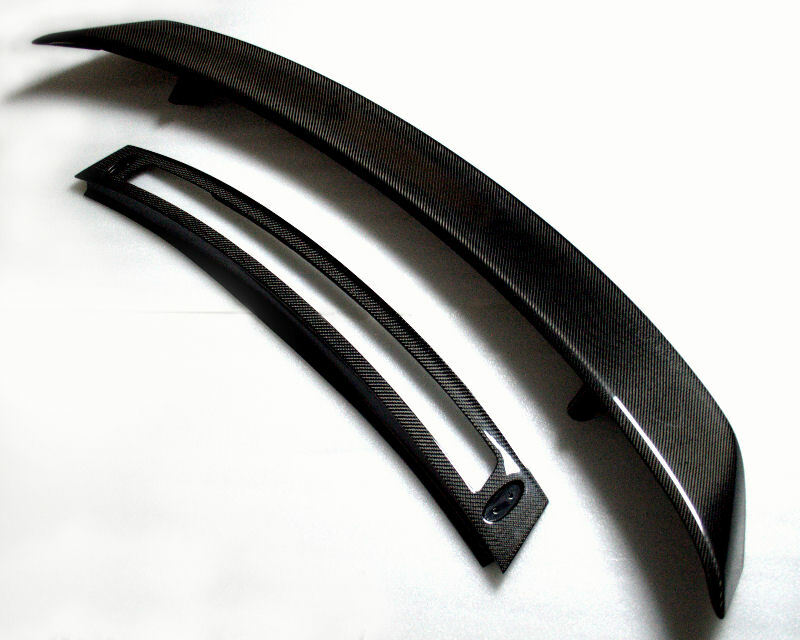 All parts are created from genuine items for their molds and made with extra attention to detail. The R-Tuned carbon fiber GT Wing will give your standard Audi R8 that racing inspired look and add some much needed downforce to the rear of the car. Rear wings work in conjunction with other aerodynamic components of a car to help produce downforce. 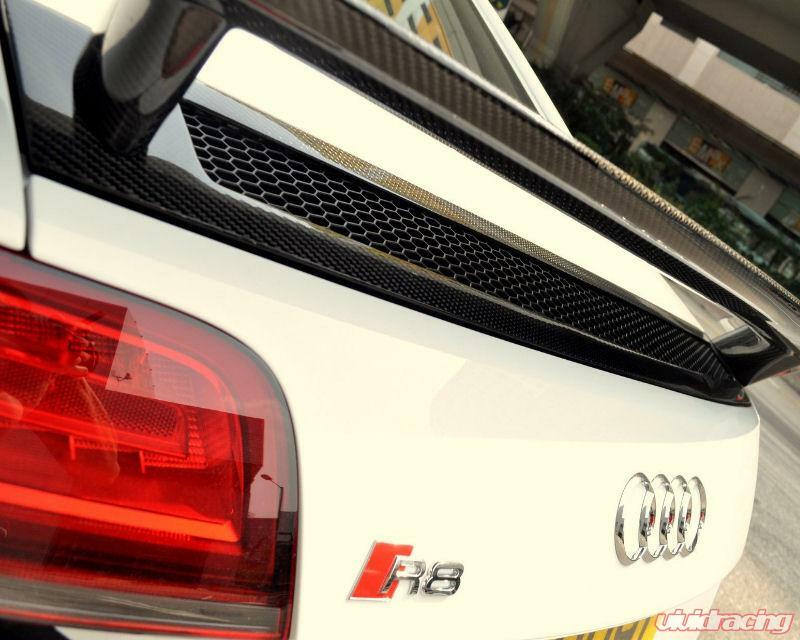 This rear wing is designed to improve the aerodynamics of the Audi R8 as well as the apperance. With a properly designed rear wing, downforce is applied to the car that helps in both turns and on the straights. R-Tuned has over 20 years of experience in manufacturing and designing the finest carbon fibre and fibre glass products for automotive purposes, specializing in high end luxury and supercars from around the world. Originally founded in the U.K, R-Tuned have now established themselves in Hong Kong where the factory and head office are based. With and abundant technical force, they own the most advanced production line and equipment at their main factory.